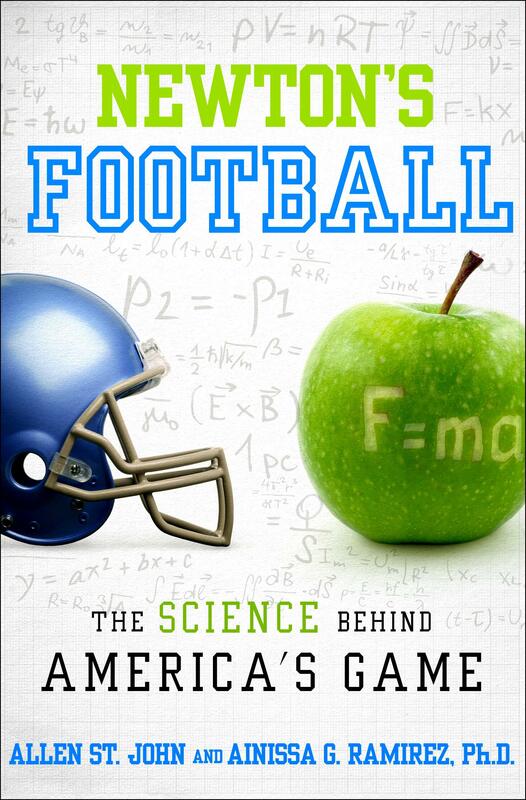 Here’s a book combining two of my favorite things: science writing and football. Turns out they go together as naturally (and tastily) as Dorito’s and M&Ms, and like that classic combo, I binged on it until it was all gone. The authors write with passion and knowledge, and in every chapter there was something I didn’t know, either about science or the sport I love. My new dream is to hear Chris Berman reference initial conditions during a highlight reel. The ball itself has an interesting history—and a physics all its own. There is no such thing as a tight spiral, for example, since the pigskin (which isn’t really pigskin) requires gyroscopic torque to remain in flight. Knowing that, you might just feel empathy rather than outrage the next time your quarterback lofts a lame duck over the middle. This book transforms the gridiron into a laboratory. And much like those “Eureka” moments in the lab, serendipity and circumstance had a hand in the game’s innovation, such as the introduction of the West Coast offense and the soccer-style kick. St. John and Ainissa also prove that not all penalties are created equal: The more important stat is not penalty yardage but the breakdown between offensive and defensive infractions. There is a serious side to Newton’s Football as well. While advances in neuroscience have revealed the extent of football’s brutality, many are wondering if football will exist in another 25 years—and if so, will it be recognizable to today’s fans. The authors explore the current concussion research and uncover some possible solutions. Along the way, the authors revisit some of the game’s most famous plays and players, and combine physics and football with narrative journalism in one of the easiest and most interesting reads I’ve encountered all year (and that’s no small amount of books). Definitely in my top 10. Newton’s Football is a must-have for fans of football and/or science. Not everyone is a fan of both, which is all the better because this book offers a chance to expand one’s horizons. By the final page it will have armchair quarterbacks running statistical analysis and lab rats rubbing elbows at the sports bar. Does it get more interesting than that?